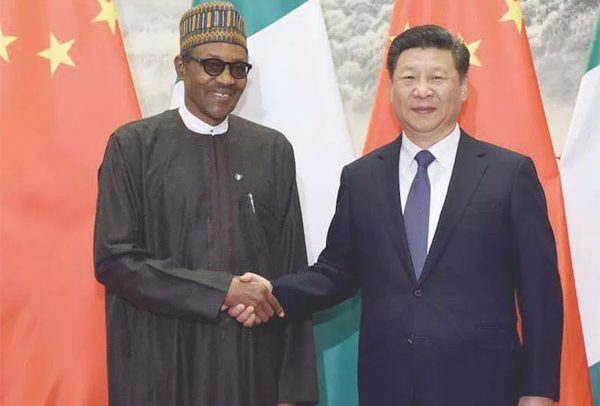 THE PRESIDENT of Nigeria, Muhammadu Buhari, has endorsed the China and Africa Cooperation, stressing that effective collaboration between the two parties will lead to mutual growth for China and Africa. Addressing a high-level dialogue between Chinese and African Leaders and Business Representatives in Beijing, China on Monday, the leader of the most populous country in Africa pledged his support for the China-Africa Cooperation. According to him, China has remained faithful and also proven to be loyal partner of the African continent as it (China) has actively supported the African continent in diverse ways to overcome most of its challenges lately. The Nigerian president stated that most of the African countries had benefitted from landmark infrastructural projects to better the lives of their people within the last few years basically due to the constant support from China. He noted that China’s support for the African continent is not focused on the public sector alone, indicating that the private sector on the African continent had also experienced massive growth through China’s support. “Today, the largest investor in ECOWAS, both private and public sectors is the People’s Republic of China”, President Buhari announced, and it instantly attracted the approval of his audience, who clapped for him. He stated that sectors such as energy, railway and health, just to mention a few, have all experienced massive boom on the African continent within the last few years; thanks to the commitment and efforts of China. The meeting formed part of the 2018 Beijing Summit of the Forum on China-Africa Cooperation and it was attended by several presidents from the African continent, as well as the President of China, Xi Jinping. In moving forward into the future, President Buhari entreated China to also focus on investing in tourism in Africa, stressing that the African continent is endowed with a lot of tourist sites that can be developed to create jobs. He, however, admonished his fellow African leaders to champion good governance, get rid of corruption and terrorism, reduce crime and deepen democracy in their respective countries to enhance their developmental goals. In his succinct remarks, Xi Jinping announced that his country had decided to provide financial support worth a whopping US$60 billion for Africa for the next three years. He emphasized that China values and cherishes its relationship with the African continent, stressing that China’s main aim is to properly support Africa to overcome poverty, diseases and other challenges facing the continent.